Fresh Kill tells the story of two young lesbian parents caught up in a global exchange of industrial waste via contaminated sushi. The place is New York and the time is now. Raw fish lips are the rage on trendy menus across Manhattan. A ghost barge, bearing nuclear refuse, circles the planet in search of a willing port. Household pets start to glow ominously and then disappear altogether. The sky opens up and snows soap flakes. People start speaking in dangerous tongues. 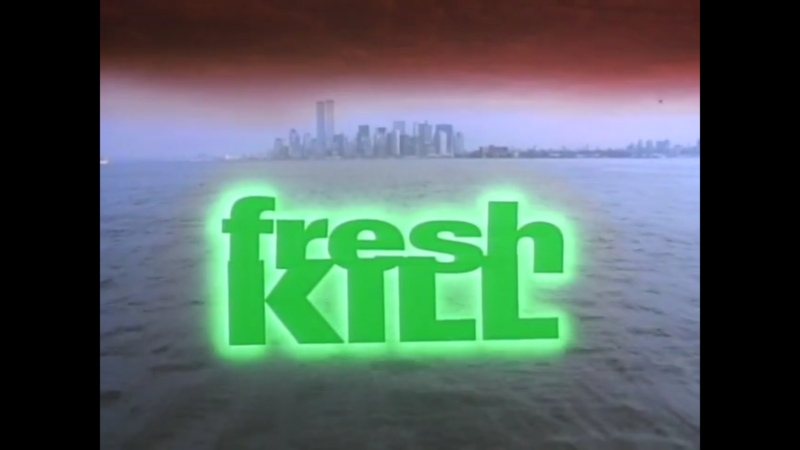 Fresh Kill premiered at the Berlin Film Festival, Berlin in 1994. In 1995, it featured in the Whitney Biennal, New York and was broadcast on Channel Four in the UK. “Fresh Kill operates on a faith in media activism and the emancipatory potential of the digital. Commercial media penetrate into the social and psychological fabric of daily life, but they can be resisted. Fresh Kill offers itself as an example of that resistance while providing models for potential hackers and cable activists in the audience. Like the works of Brecht and Godard, it offers hope for seizing the means of communication by reflecting on its own production and providing an image of radical media empowerment to inspire others.” Gina Marchetti, 2001. “Lawrence Chua: What was your emotional attachment to the narrative? You came up with the idea and then approached Jessica Hagedorn [the writer], right? Courtesy: BOMB Magazine, Shu Lea Cheang and Lawrence Chua. Fredric Jameson on the ‘conspiratorial text’: “Whatever other messages it [the conspiratorial text] emits or implies… may also be taken to constitute an unconscious, collective effort at trying to figure out where we are and what landscapes and forces confront us in a late twentieth century whose abominations are heightened by their concealment and their bureaucratic impersonality… Nothing is gained by having been persuaded of the definitive verisimilitude of this or that conspiratorial hypothesis: but in the intent to hypothesize, in the desire called cognitive mapping – therin lies the beginning of wisdom.” Fredric Jameson, The Geopolitical Aesthetic: Cinema and Space in the World System, 1995. As an artist, conceptualist and filmmaker Shu Lea Cheang constructs networked installations and multi-player performances. In her film scenarios and artworks, she drafts sci-fi narratives and builds participatory social interfaces and open networks. Engaged in media activism with transgressive plots for two decades (the 80s and 90s) in New York City, in 1998 Cheang concluded her NYC period with the first Guggenheim Museum web art commission BRANDON (see www.carrollfletcheronscreen blog). Cheang has expanded her cross-genre-gender borderhack performative works since relocating to the Eurozone in 2000. Currently situated in post-net BioNet zone, Cheang is composting the city/the net while mutating viruses and hosting seeds through underground parties. 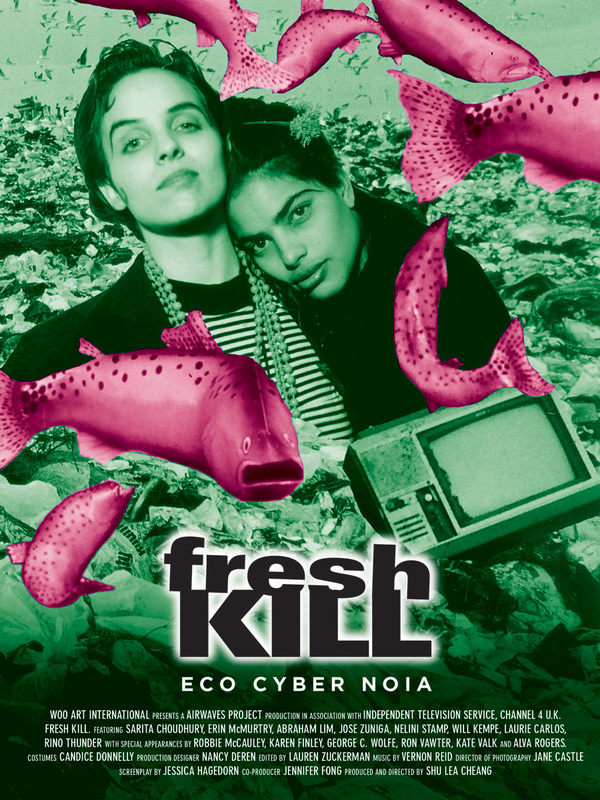 FRESH KILL, an eco-cybernoia film. An airwaves project in association with Woo Art International, ITVS and Channel 4, UK.